ABATE has Chapters all around the state of Arizona, from two in the Phoenix Metro area, Tucson, Yuma, Prescott and in the Payson area. So wherever you live in the Great State of Arizona there is an ABATE Chapter nearby. We work both on the State level and on the local level to ensure that motorcyclist’s rights are protected and taken into consideration whenever any legislation is proposed that may affect us as motorcyclists. We interact with other motorcycle organizations throughout the state of Arizona and also with organizations such as the Motorcycle Riders Foundation and the American Motorcyclists Association on a national level. ABATE of Arizona hosts “Too Broke for Sturgis” which is our large event which is held every year in June and lasts an entire weekend. All proceeds from this event help to fund our work with our lobbyists and lawmakers and legislators. Our various Chapters also host events throughout the year to help promote motorcycle rights and motorcycle safety and awareness. There also many social events and group rides etc. 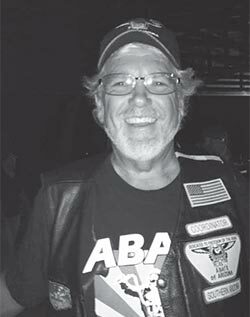 AB ATE of Arizona, along with other motorcycle rights organizations here in Arizona, sponsors “MOTORCYCLE DAY AT THE DOME!” This is an annual event where motorcyclist from all around the state ride to the State Capital building in Phoenix and meet with our lawmakers. It is usually held every February. This coming year it will be held on February 15th, 2017. If you ride please come out and join us at the Capital Dome! Do you live in Arizona? Do you ride a motorcycle? If so, you need to join ABATE of AZ. If you care about your rights as a biker, you’ll do it. ABATE of Arizona Needs You!!! … And if you ride a motorcycle in Arizona, You need ABATE of Arizona!! !